So it isn't too difficult to understand why I never watched sports on television. I just had absolutely no interest in such things. Maybe if chess had been televised, I might have cared. But as it was, the only time I ever saw sports on tv was when it was forced upon me, and the only time that ever happened was when it was soccer commentary in spanish, which I still can't speak. Over the years, I've seen many people watch televised sports with commentary, and I've just never understood it. Until, that is, I encountered StarCraft. Somehow, in the past year or so, I have gone from abhorring the concept of sports commentary entirely to realizing that I actually think Tasteless and Artosis are the best live tv hosts I've ever heard (next to Neil deGrasse Tyson, of course). Watching them commentate StarCraft 2 matches in the GSL is just about the most enjoyable experience I can get from an online show, and it beats out even the great philosophy podcasts I've fallen in love with recently. They take me through a rollercoaster of emotions, creating laughter, nervousness, tenseness, excitement, and regret, all in the course of a few short hours. No other experience can make me both yell at my screen and giggle uncontrollably within the same broadcast. Don't get me wrong; I still consider football, baseball, basketball, and many other sports (and esports) completely and utterly boring. 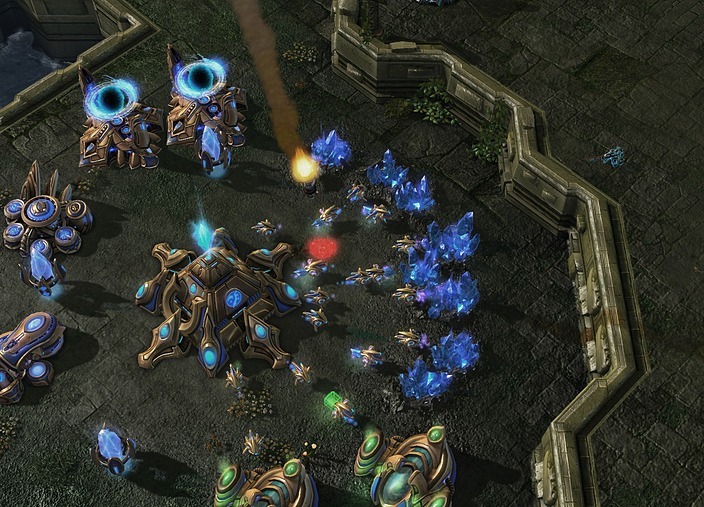 Yet StarCraft 2 is something that I now think I'm completely obsessed with. I watch every major tournament regularly, and I listen to many StarCraft community podcasts, the combination of which takes up a not so insignificant amount of my time. It is only now that I understand how captivated all those people earlier in my life were. I have experienced a similar sort of arc with the League of Legends streaming community. The quality of LoL commentating doesn't compare to the GSL stuff, but I enjoy following individual players on solo queue streams and things like that. LoL commentating can only improve from here. Tasteless has been commentating world finals matches since 2005, and Artosis is one of the best StarCraft 1 players of all time, having qualified for the world championships seven times. It's no wonder that they pair up so well together, given their extensive experience. From what I understand, LoL commentators just don't have the same level of skill as the players. My knowledge is second hand, but posters over at teamliquid.com tend to think that until you start seeing some great players quit playing and turn to casting instead, there just won't be enough analytical ability for the commentary to be as good as StarCraft's currently is.